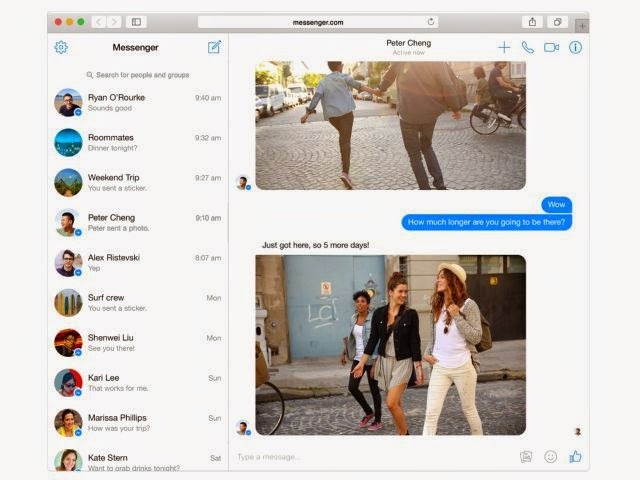 Facebook is bringing Messenger, its standalone messaging tool, to the Web. Why, then, is Facebook rolling out a standalone Web page for messaging when you can already use Facebook to do the same? Facebook has no plans to remove messaging from its core Web service, a spokesperson confirmed. The company already did this on mobile, requiring users to download the separate Messenger app in order to send and receive messages from their phone. On the Web, you’ll still be able to use Facebook or Messenger.com — at least for now. One of the reasons Facebook made this change on mobile was that it wanted to more easily build features into the messaging app. It has since done that, adding a peer-to-peer payments feature and a new developer platform that lets outside parties build features for Messenger. Messenger.com will support a lot of these features as well, including payments (if you have it on mobile, which few people do so far). You also don’t need the Messenger mobile app to use Messenger.com. Messenger will be available to English-speaking users worldwide beginning Wednesday, and will launch with other languages in the coming weeks.